MEUS PARABÉNS: QUE DEUS CONTINUE TE ILUMINANDO E TE PROTEGENDO HOJE E SEMPRE. FELIZ ANIVERSÁRIO! QUE DEUS CONTINUE TE ILUMINANDO E TE PROTEGENDO HOJE E SEMPRE. 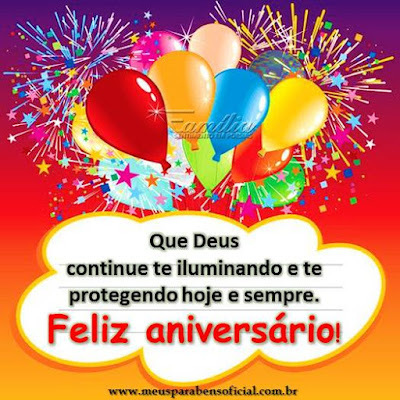 FELIZ ANIVERSÁRIO!